Captive Cetaceans Tragically Sad: Is Tilikum Transient or Resident? Captive Cetaceans are tragically sad compared to their free ranging families in the ocean. Throughout this blog I have tried to provide links to information stated enabling you to check things out and make your own minds up. Research really is the key, don't be told what to think and say, check it out for yourself. Is Tilikum Transient or Resident? There seems to be much debate over whether Tilikum is transient or resident so I intend to try to sift through the various reports and see if we can come up with a conclusion. The picture below shows the North Atlantic killer whales top being the residents (fish eaters) and bottom being the transients. Secondly Seaworld's own website describes the saddle patch differences between the two types. It is difficult to tell with the dorsal fins as both are flopped over but the saddle patches are very different. From the information above this is Kanduke who we know 100% is transient. Tilikum saddle patch very visable. 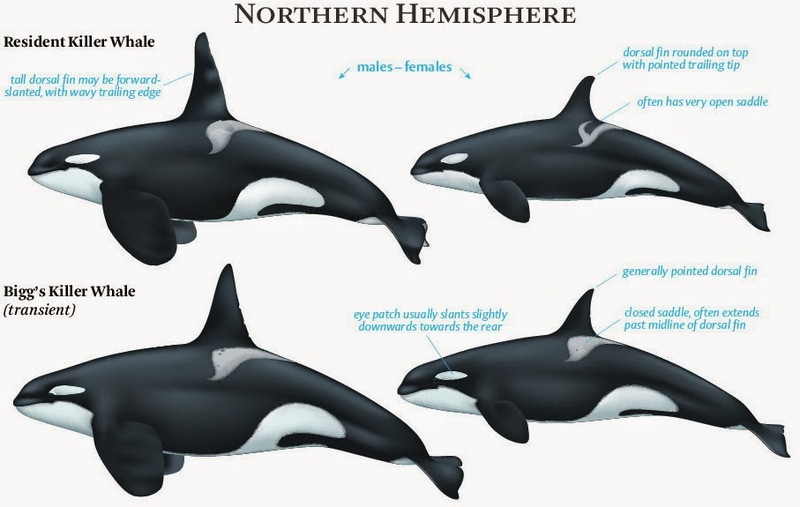 From the information provided above and the distinct difference between Kanduke's and Tilikum's saddle patches this would make Tilikum a resident. Although transients roam further than residents they do not roam out of their own ranges and as the article says they are summer visitors to Iceland and Tilikum was caught in the winter. He was caught following a herring boat, which would also make him resident. What other people think and evidence they have collected. In my research I also pursued this question. And the best answer I could come up with is that the orca population off eastern Iceland, where Tilikum came from, shows resident characteristics. Another key point is that the Icelandic orcas were caught either by following the herring fleets, or by dumping herring into the water ahead of a pod. So Tilikum almost certainly came from a fish-eating population, which reinforces the notion that he is more likely resident than transient. One other very interesting question raised for me by orca biologists is whether transient killer whales that are taken into captivity–used to eating and hunting large mammals–are more likely to be involved in trainer incidents. There probably are not that many transients kept at marine parks since most of the killer whales taken into captivity were taken from the Pacific Northwest and Iceland, from resident populations. But it is an interesting idea. Residents and transients differ in diet, vocal traditions, habitat range, morphology (shape of dorsal fin, etc. ), pigmentation patterns (such as the eye patch) and genetically. Though they cross paths routinely throughout the inland waters of BC and Washington State, the two forms are becoming, or by some accounts are already, separate species. DNA work indicates that they have not interbred for at minimum one hundred thousand years. Each orca population worldwide seems to follow its own rules to guide their diets, associations patters, behaviors and vocalizations, rather than simply show similarities with either residents or transients. Some researchers have suggested that residents should really be called "fish-eaters" and transients "mammal-eaters." Not until Seaworld started their breeding programme had their been a transient/resident hybrid and comparisons cannot be made as their is no comparison in the wild. Residents and transients are genetically distinct, yes (in the same way that human races, such as Scandinavians and Somalis, are distinct - and the differences may be more profound than that, making them sub-species or even different species, but the taxonomic jury is still out on that). Based on genetic mutation rate, they diverged at least 10,000 years ago - they look different as well as hunt and behave differently (I can tell a transient from a resident at first or second glance - it's a subtle difference in the dorsal fin shape and saddle patch that those who spend years in the field with these animals get good at distinguishing). Some transients do eat fish occasionally (others feed exclusively on other mammals) - the dietary difference is more cultural than physiological, so feeding fish to transients in captivity is not going to be a health problem per se. Re: Tilikum, from everything I have heard he is a resident, and yes, this could be easily verified with genetic analysis. Lastly lets look at Kanduke is was 100% transient captured from T pod, he was T6 son of T1. Is it coincidence that many of his calves died or were not right. His first calf died with its mother, he was mated with Kona2, who it is suspected suffered a stroke or paralysis from infection, what was clear is she was 9 months pregnant and the calf died with her. His first living calf was Katerina, born to Katina she was taken from them at 2 years old and sadly died aged 10. She would have been the first living transient/resident half breed. He then went on to have Taima with Gudrun. Taima went on to have 2 male calves and attacked both of them, it is not known if this is because she saw Gudrun attacking Nyar who was brain damaged, or because she was only 9 when she gave birth, meaning she was pregnant at the extremely young age of 7, or if it was because she too was a transient/resident hybrid. 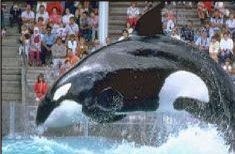 Sumar was attacked by Taima and separated he died aged 12 if Tilikum was transient, Sumar would have been predominantly transient as Taima was half transient. Nothing shows that he was. 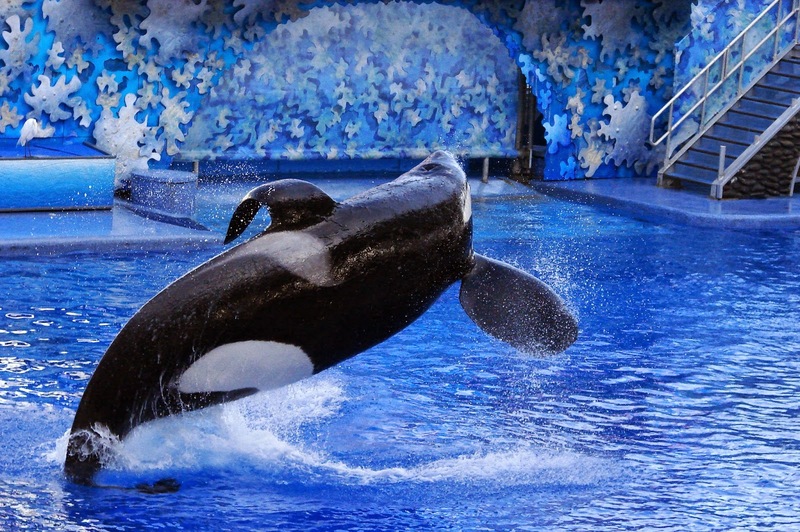 Tekoa was also attacked by Taima, did she know something wasn't right? He has moved on to be what Ingrid Visser describes as one of the most raked and bullied orca in captivity, he is having a horrible time at Loro Parque. 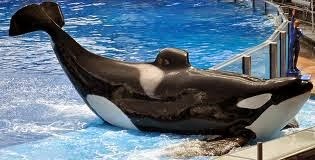 Trainers were so concerned at one point they asked Seaworld to take him back to the USA but they refused. Lastly, Taima had Malia, this time she was a good mother, but so protective Seaworld separated them as Taima would not participate in shows properly and wanted to be with her calf. Malia has had 6 incidents of abnormal behaviour ranging from listing to no movement like seizure states. 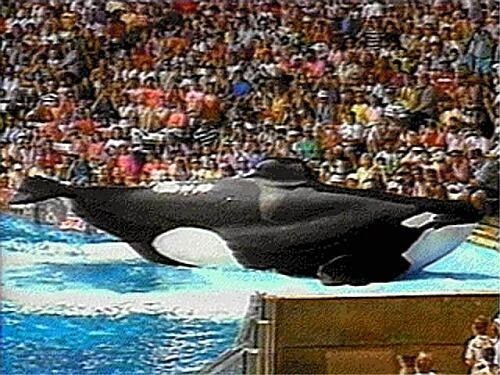 Usually Taima would scoop her up and snap her out of it but not once they were separated or after Taima died. Is this because she was a hybrid mix? 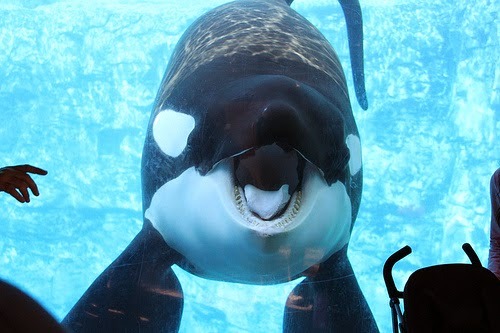 Surely if Tilikum was transient and the cause of Katerina, Sumar dying young and Taima attacking Sumar and Tekoa and Malia having fits, is because they are hybrid mixes surely Tilikum being transient would have made that a whole lot worse. There is nothing out there in the wild to make a comparison too as there is no such thing as a transient/resident orca, that mixture was only created by Seaworld. Tilikum has fathered many calves being the most prolific breeder there, compared to Kandukes linage there is a massive difference. I believe the bottom line is no one knows for certain unless Seaworld test him as describes above by Naomi Rose. In my opinion from the differences between Kanduke and Tilikum's saddle patches, the way the Icelandic captures were conducted, usually capturing pods who were following the herring boats and the fact that Tilikum's offspring do not seem to be as frail as those of Kandukes, I would say that Tilikum is a resident (fish eating) orca not a transient. Please visit and like the facebook page for updates, campaigns and news. Seaworld's Collaboration in the Wild Caught Industry Web, leading right back to Taiji. Orca Unna gives birth to dead baby during show. Seaworld bullying the Scholastic News. SeaWorld - You have Excuses for Tilikum, what is your Excuse for Keto? Important Information About Working with, Swimming with and Touching Marine Mammals. Wild Orca Orders now being taken. Awesome Ocean blown out of the water AGAIN!